The first email I saw this morning in my inbox was from my good pal, Alan Renouf. Alan is our product line manager for APIs, SDKs, CLIs and Automation Frameworks (congrats on the promotion Alan). Anyway, Alan was announcing the General Availability of VMware vSphere PowerCLI 6.5 Release 1. There are a whole bunch of improvements in this release, and much kudos must go to the PowerCLI team. However from a vSAN perspective, things look really cool. [Update] This version of PowerCLI also works with vSAN 6.2 and 6.0, so there is no need for customers to upgrade to vSAN 6.5 to leverage these new features of PowerCLI. I am only highlighting the vSAN specific items in this post, but as Alan mentions, there are also a bunch of enhancements in other storage areas, such as the management of VMDKs, and new cmdlets for Storage Policy Based Management (SPBM) and VVols. Wow great news ,Finally VMware has announced the general availability of VMware PowerCLI 6.5 Release 1 . This is amazing that VMware has added new features in PowerCLI 6.5 release 1 and these features are easy to use. All the new features are really great and very important. The good thing is that this version of PowerCLI also works with vSAN 6.2 and 6.0, so there is no need to upgrade to vSAN 6.5 to leverage these new features of PowerCLI. Thanks for sharing. 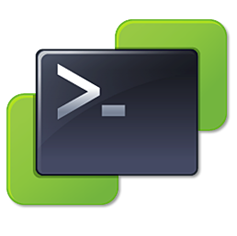 The way you explained each and everything about the PowerCLI 6.5 Release 1 is really good. Thanks once again. There is still no option in powercli 6.5, to create a new vvol based datastore. I spoke to Alan Renouf about this. He said that you are the first customer to raise particular this request. A lot of the PowerCLI features are based on customer feedback, and clearly this is a gap at the moment. He said he will add it to the PowerCLI backlog as a high priority item. that the assembly that contains this type is loaded.